Optical Women's Association - Meet Debra Bulken! Passionate, Strong Work Ethic and dedicated. Strives to be a servant leader. The opportunity to travel to so many amazing places, meeting new, diverse people and the opportunity to grow! Not enough! Does email count as "reading"? I have committed to a book a month! Currently reading "Essentialism, The Disciplined Pursuit of Less". That we all push the boundaries of our comfort zone. Take time to honor your family and particularly those who have supported you! Do what you love & make someone's day, everyday! Live your Dream! Want to connect with lots of great members like Debra Bulken? 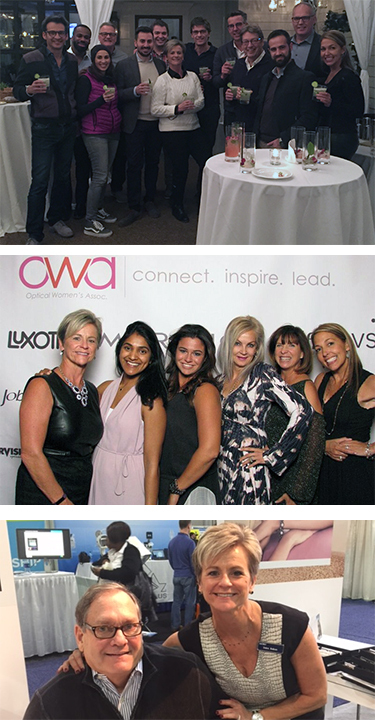 Join OWA Today!